This entry was posted on August 6, 2018 by Tinteán Editorial Team/EMcK, in Business, Business Initiative, diaspora, Ireland and the EU, Irish Culture, Irish Government, Irish government initiative, Minister for the Diaspora, News, Popular Culture and tagged Diaspora, emigrants, Irish government initiative. Bookmark the permalink. In the past few months I have been leading the delivery of a number of important projects across the full range of our supports for our diaspora, from supporting returning emigrants, approving Emigrant Support Programme (ESP) applications, and surveying the Irish in Asia. Some of this important work, such as the processing of the ESP grants goes on largely behind the scenes but I know the positive effects are felt by countless Irish around the world. In May I was delighted to host the closing session of the Back for Business programme which I established last year. 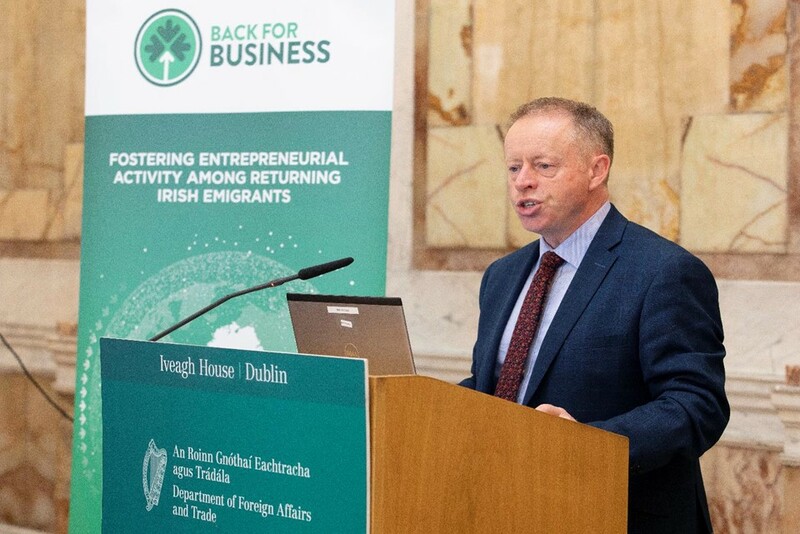 This programme was the first of its kind and was designed to assist returning emigrants grow their new business by helping them access tailored advice and supports as well as mentoring support from other established entrepreneurs. Forty five participants, from all around Ireland, took part in this pilot programme and the feedback we have received has indicated that it was successful and hugely beneficial for those involved. There was a great sense of energy and positivity among participants, not only for the programme but also for their own aspirations for growing new businesses all over Ireland. Even more heartening were the stories and examples of how participants are already sharing their skills and expertise within the group to improve each other’s chances of success – just as we see among our communities abroad. 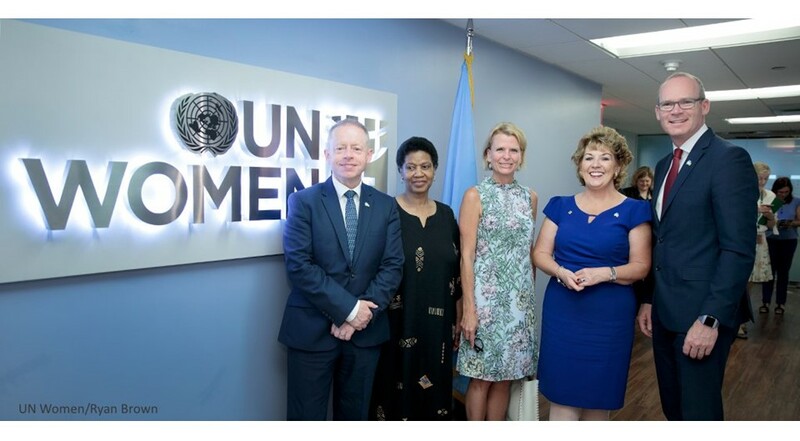 I was also in New York recently at the launch of Ireland’s campaign to join the United Nations Security Council as a non-permanent member in 2021-2022. I was proud to see that our campaign launch – based on the three themes of Empathy, Partnership and Independence, had so much international support. The campaign launch took place against the backdrop of John Behan’s ‘Arrival‘, a sculpture depicting Irish emigrants disembarking from a ship, gifted by Ireland to the United Nations in 2000. Arrival celebrates the deep and lasting effect that Irish emigrants have had across the world, a legacy that our diaspora continue today. I believe there is a role for our diaspora in supporting Ireland in this work and I also believe that we as a country have a role in representing the values of our diaspora at the United Nations and internationally. As this campaign progresses in the months ahead I know that there will be many people interested in what we are doing and you can keep up to date on all the progress through the Department of Foreign Affairs and Trade’s website. I am also delighted to have launched this month the first Annual Report on Support for the Irish Abroad. This report details the range and depth of Government support for Irish communities and organisations around the world. 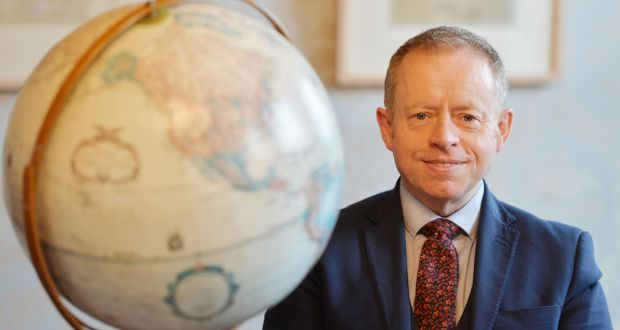 From funding large and established Irish organisations in America to funding new and developing organisations in Asia, we have never been more connected to the Irish abroad. The report will also set out the priorities for 2018 and beyond, many of which we are already implementing, such as through the Emigrant Support Programme or through my busy schedule of visits to Irish communities, old and new. This report reflects our commitment to transparency and accountability and it is available in full on the Global Irish Hub website. You’ll also see from the articles on the news section of the Global Irish Hub that we have been busy supporting and promoting other Irish organisations in recent months. 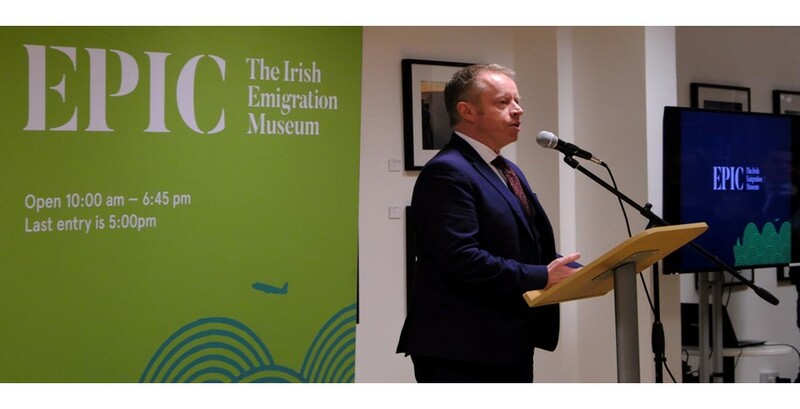 In particular I want to acknowledge our work with EPIC, the Irish Emigration Museum. We have partnered with EPIC in 2018-2019 and you will see that there are welcome developments in researching and celebrating the immense contribution that the Irish diaspora has made in many countries. Over the next few weeks we will be finalising the funding for this year’s Emigrant Support Programme and later in the year I will also be undertaking a programme of visits to Irish communities abroad. I look forward to updating you on these developments in the next edition of the Global Irish Newsletter.